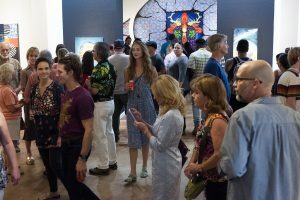 To meet the distinct needs and objectives of our corporate partners, the Morean Arts Center customizes sponsorship packages that provide opportunities to increase brand awareness, build client base and have a meaningful impact on the arts in our community. With a variety of programming—from exhibitions, education programs for all ages and levels, free community arts programs and unique special events ―the Morean Arts Center can provide a wide range of benefits and recognition opportunities that reach across a broad, diverse audience of close to 130,000 per year. Contact Anna Kuhlman to become a Corporate Partner at 727-822-7872 ext 2120.